Corporate recruiters and internal HR managers are often faced with a daunting number of tasks to get the recruiting and hiring process underway and completed within a certain timeframe. This leads to stressed employees who struggle under unrealistic expectations and often settle for poor candidates who make due when a deadline looms. That’s nerve wracking for everyone, especially if you’re large enough to always be hiring. It leads to burnout and a feeling that every person is a liability, not an asset. Your team deserves the help they need to hire properly and the freedom to focus on the people who will make your company better. As an agency partner, we’re here to streamline the process and get you focused on securing the candidate. Your success is our success, which is why we provide three big benefits. Employee referrals are one of the best sources for hiring qualified talent who are happy in a new position and fit well within a company’s existing culture. People know their friends and former coworkers and can imagine them honestly in a new setting. A review of recruiting in 2016 from Lever found that employee referrals account for about 16% of total hires, and a referred employee is 10 times more likely to be hired than a candidate who applies in the traditional way. How can an agency like The James Allen Companies help you capture more referrals? We have the benefit of access to highly-qualified applicants. We also have a broad range of referral services and are often the first place people suggest when their friend or former coworker is looking for a new place of employment. Candidates test the waters with recruiters because we allow them to see what’s available. Building a strong relationship with us provides you access to top talent looking for a change. You have make-it-or-break-it elements in your hiring process based on your experience. These can include needing someone who is a team player, having versatility so that every position is comfortable making presentations, or needing references for specific knowledge and skills. When you get to the interview process, explaining these to each candidate and then doing your verification can take time and will often require work beyond the interview. This adds days to the process, slowing you down and forcing you to live with a skill gap for longer periods of time. Recruitment agencies like us can help get these general questions and requirements out of the way for you before the candidate ever lands on your desk leaving you with a prioritized list of candidates that meet your requirements, allowing you to select from the best after we’ve separated the wheat from the chaff of the initial applicants. We create a substantial number of opportunities to highlight why they should join you for the betterment of their careers. We gauge how a candidate may react to a counter offer from their employer, address resignation cold feet by showcasing your values, and maintain a clean line to candidates where they can ask us questions, encouraging consistent communication. Remember, a talent agency like The James Allen Companies is just another weapon in your arsenal. You can use us tactically so that we bolster and support your hiring success, without harming your reputation or your standing. Some corporate recruiters or HR managers will look down on getting outside help or see it as something that hurts their pride on an individual level. However, we work with you to find and land the best candidates, so you’ll actually be able to take pride in how well you’re performing when it comes to doing what’s right for your team, management, and company health. You’re best candidate isn’t going to wait, and neither should you. Discover them today. Are You Offering New Hires the One Thing They All Absolutely Want? If you aren’t motivating candidates to work for you, then you’re missing the boat when it comes to landing today’s best talent. Your current staff most likely already has their own motivation for coming to work, and those reasons are as varied as the people who enter your doors each day. During the hiring process it’s your job to determine at least one motivating factor for your preferred candidates and show them how your company can satisfy this. Discovering and presenting the right motivation can boost morale, employee respect, productivity, and foster a working environment that people want to stay in for years to come. One of the biggest motivating factors for someone selecting a job is the belief that the work is personally meaningful. This is followed by (and studies differ on the order) feeling relevant, doing work that benefits society, stability, overcoming challenges, establishing a career path with advancement opportunity and the job making them feel happy or empowering them to pursue other things that make them happy. Money rarely makes these lists of top motivational factors, but it always plays a role in overall motivation. Salary, benefits, bonuses, and other compensation allow your staff to acquire the standard of living they require to meet their needs and attain the lifestyle they desire. The good news is that fair benefits and pay have always been a cornerstone of securing the talent a business needs. Providing for your employees allows them to pursue the motivations at work and in their daily lives, creating a strong underpinning for success. Today’s market favors the job seeker, especially in high-skilled areas. Therefore, money should at least be treated like a basic motivation, and your offer will go much further when it is competitive. One top factor in hiring and retaining the best and brightest is your ability to foster development. Improvements in skills, capabilities and career have been and continue to be top motivational factors for staff of all ages and levels. What this means for your leadership is that they need to have a clear plan for helping your team and new employees improve themselves. Their review found that upwards of 90% of training and preparation for advancement takes place on the job and that employees understand this — even if they can’t peg the number, they understand that to advance they need to work in a place that will help. These programs should be made apparent immediately. Older workers and younger workers feel they’ve earned the right to know how you plan to improve their professional lives. Think of it this way: today’s worker doesn’t have an entitled attitude, they are empowered by the job market. Gallup notes that 93% of millennials left their company when they changed roles, and many cited that progression was unclear or they believed it had no growth opportunity. That percentage of workers leaving their jobs shows little variation for other age groups when it accounts for employees who saw little to no opportunity for growth. Not only is every person different, every office is too. There’s not one single thing that will work for everyone who reads this. 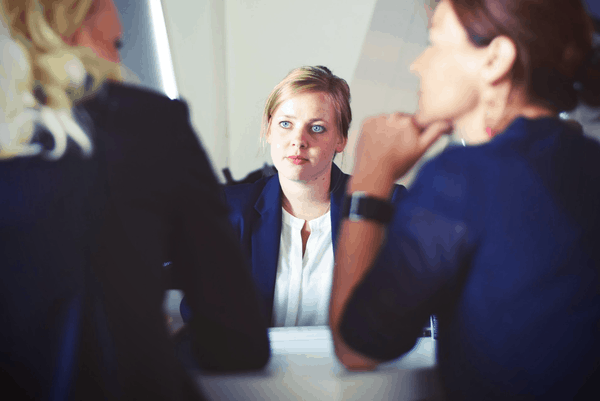 However, there are a few proven methods you can try to establish at your organization that are also appropriate to discuss during an interview or the negotiation process. Creating work holidays and celebrations. Building tradition helps your organization feel more like a family and create a bond of commitment. Employee recognition programs. You don’t have to do anything too elaborate, but it should come off as genuine. When done in an honest way, it’s typically the best method to create motivation and build trust. Provide ongoing training. Whether in-house or outsourced, training taps into motivations for personal, career and skills growth, which is important to most of your workforce. Give employees control. Some motivations are best left in the hands of your employees, such as the ability to set and meet reach goals, taking responsibility for success and recognition. Tell potential hires that you have leeway for success and failure, plus you give your employees a chance to recognize each other when something comes together especially well. Keep decision-making clear. No, don’t tell candidates that they’re going to sit in meetings all the time. This is about discussing how everyone is held to the same standard and ensuring them that everyone knows what that standard is. Clear expectations promote healthy relationships, foster development and make employees feel like their opinions and experiences are valid. Those are just a few things your leadership can do to boost existing retention rates as well as come off as a top career destination for your next round of candidates. Be sure to check out our other advice on understanding today’s market that favors job candidates and how to target mid-level professionals as well as rising talent.